A circuit breaker tripping happens pretty often if you have a lot of things plugged in and operating at once. When a circuit becomes overloaded, your system has a function in place to protect from damage or fire that will automatically cut power to that circuit. The overload is called a fault condition and the circuit turns itself off. When this happens, you may hear a pop at the same time the electricity is disconnected. The first step is to turn off all the lights and unplug items that are not always in use. Such items may be pulling a lot of electricity, like a vacuum cleaner, hair dryer or space heater. You do this in order to reduce the strain on the circuit, otherwise if you restore power, the circuit will just trip again and you could cause damage. Rooms in your home such as the kitchen, laundry room and bathroom require heavy-duty circuits and are designed for bigger appliances but can still be overloaded. If the circuit trips again you will want to plug some items into another circuit. If you do not have another circuit, you can have an electrician install additional or dedicated circuits for your home to handle additional amperage. You will want to find your electrical panel. These are usually in the basement of the home, a utility room, or in some homes, outside in a metal box on the side of the home exterior. Bring a flashlight with you in case power is out where the box is. Be sure that you are wearing shoes, that the floor or ground you are standing on is not wet, and that your hands and clothing are dry before you open the electrical panel box. Electricity can be dangerous but basic precautions will keep you safe. 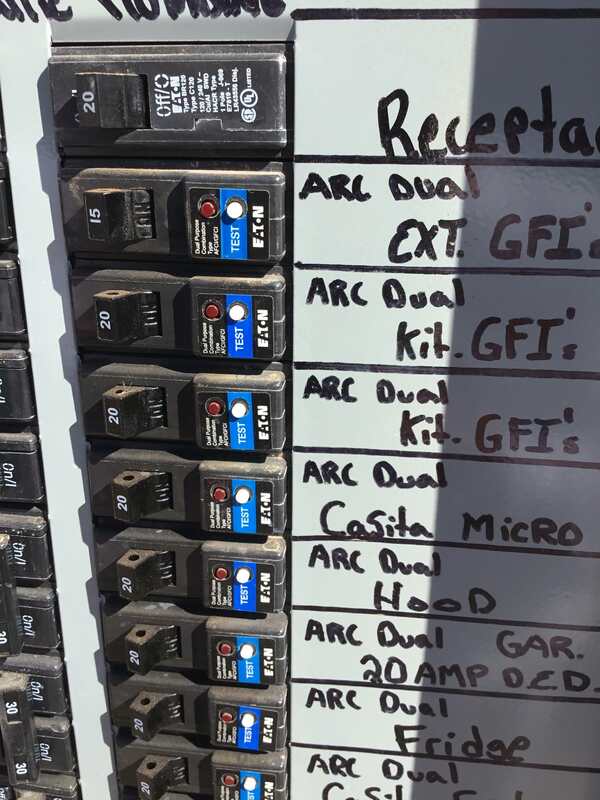 Your electrical panel will be an array of circuit breakers. They should be labelled indicating which rooms or appliances they control. Some panels though are not labeled, and if you discover this is the case in your home you may want to make it a project to do this to simplify any future issues. 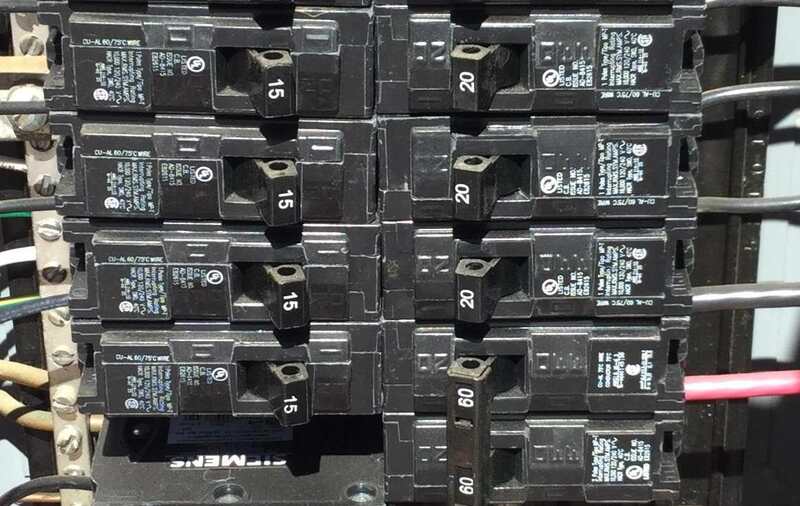 Look at the direction that most the circuit breakers are in, and look for one that is in the off position or pointed in the opposite direction as the rest of them. The circuit breaker you tripped may not be all the way to the opposite “off” side. When you have found the circuit breaker that tripped, stand to the side of the box, where you are not looking directly at it, and move that circuit breaker completely over to the off position. Wait a moment and then move it all the way over to the full “on” position. You should find that the power has been restored to the room or area where you were when the power went off. Carefully plug items back in and try to avoid overloading the circuit again. However, if you have reduced the number of items running off that circuit and it continues to trip, you may have bigger problems. Big offenders for overloading a circuit can also include portable A/C units, old appliances, toasters, coffee pots, microwaves, and power tools. Be mindful of how old your appliance is. Check cords often to be sure they are not frayed, all items are plugged completely into the outlets, and nothing is coming loose. If you have plugged items into another circuit, checked the condition of all of your appliances and everything plugged in and the breaker continues to trip, especially immediately after you turned it back to the full “on” position, you may have a short in your system. Faulty switches, receptacles, shoddy wiring, damaged cords or plugs, or a malfunctioning appliance may cause a short circuit. 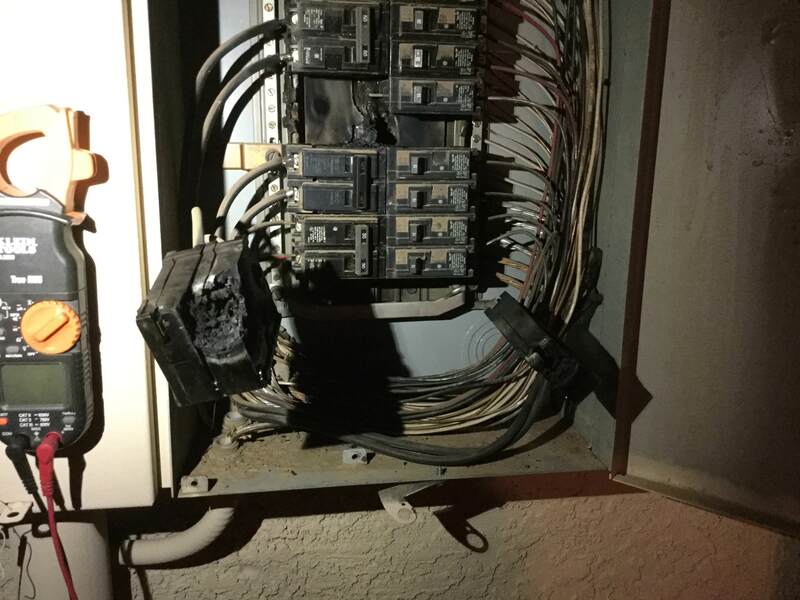 Worst case scenario would be to have your panel catch on fire like the image below. If you have an animal that likes to chew cords, it could also be the cause of a short circuit. Be sure to inspect for any damage from that as well and immediately protect your cables and cords with protective covers. Carefully check outlets and switches to see if they smell or feel hot to the touch but do not disassemble them! We recommend you call a George Brazil to investigate and make code complaint repairs if needed. A short circuit is a fire hazard, and George Brazil will be able to locate the source of the short and make any repairs needed to make your home or office safe again. For your personal safety, you should always use caution when working around electricity and never attempt to repair cords or equipment yourself. If electrical equipment has been flooded or exposed to water, always have a licensed electrician inspect it first before energizing it. While it may be frustrating to have a circuit breaker trip, these systems are in place for safety and to protect you and your family. Most major problems in the home can be detected early and corrected by paying close attention to the warning signs long before damage occurs. Be sure to always seek the advice from George Brazil Plumbing and Electrical if you have any concerns. We're always here to help!